The first thing you must do when creating a sanctuary in your home is to make it yours. Moving in to a house is a long process, and getting everything just right takes time. The more energy you put into making the place perfect for you, however, the more you will feel safe and comfortable in it. If you want a sharp look, search through a collection of modern beds until you find your perfect one. Whatever your style, aim to find the perfect pieces of furniture to make your house a home. 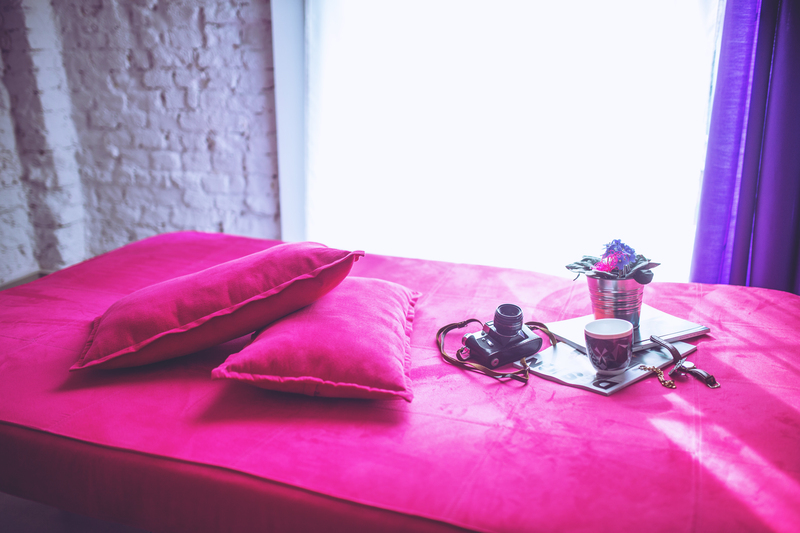 If you can’t make your whole home a sanctuary just for you, you’ll need to designate a room. This room, for many, will be their bedroom. The best way to relax and unwind after a stressful day is to get rid of distracting, mindless items. This means not having a television, and refraining from using your laptop or phone in your bedroom. These items interrupt your sleep schedule and make it harder for your body to sleep deeply. The better you can sleep, the more relaxed and refreshed you will be in the morning. Your sanctuary is where you need to feel comfortable and safe in. As such, you can add in whichever comforts work for you. These could be your childhood stuffed animals or feather pillows. You could even have a stash of your comfort food for the worst days. Make sure that your sanctuary is your safe place. It’s okay to need to hide away from the world for a little while. This point is mostly for those who do not live alone, and especially when you have children. As a parent, you will likely make your sanctuary your bedroom. This works for both single and married parents, but the important thing is to not let your children inside without your permission. Your children need to learn to respect boundaries, and the last thing you need is to trip over their toys on the way to your bed. The most crucial part of any sanctuary is that you return to it often enough for you to relax. Your home is the place where you long to be, and so you should aim to make it your sanctuary. All it takes is some effort and time to make any home a destination away from the stresses and worries in your life. You want to dream about your sanctuary and when you finally get home to it, you want to relax.